We’ve done our homework and have loaded the Flashcal with the most sought after options for your JK. Take full advantage of the most popular aftermarket upgrades your late model JK craves. 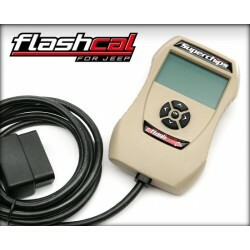 If you’ve added tires or gears to your Jeep, Flashcal is a must!